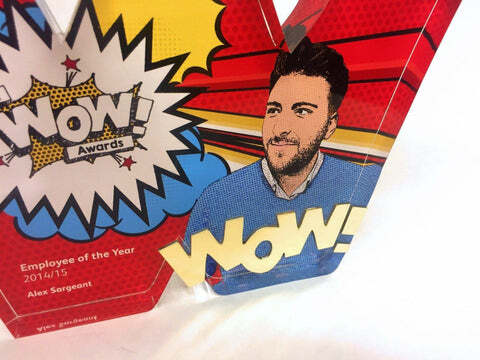 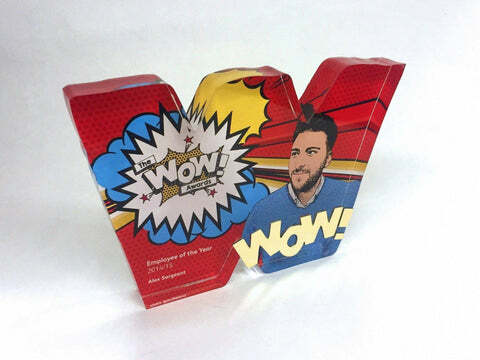 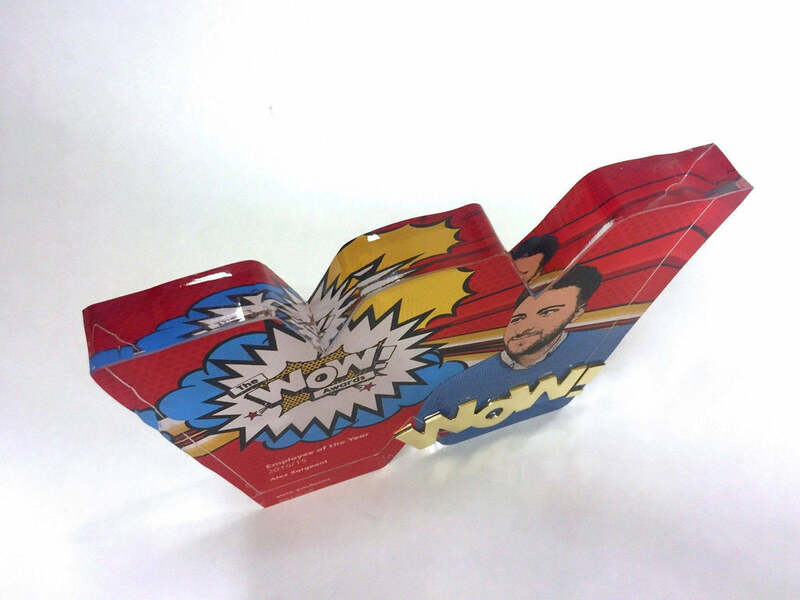 This special commission drew from the works of Roy Lichtenstein to produce a vibrant, colourful and playful award. 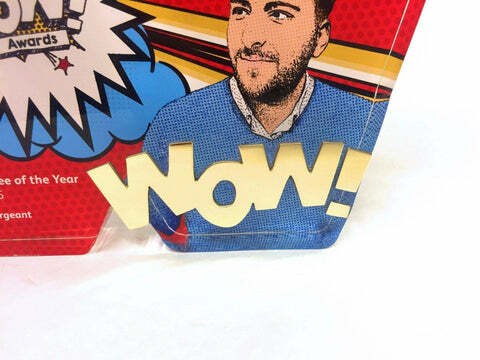 This is a profiled piece of clear Perspex which has been cut to the shape of a W.
Next, we placed highly polished gold letters onto the surface of the acrylic. Onto the back of the acrylic is a high resolution print which is where the impact of the piece really comes from.